The 2015 edition of the METSTRADE show in Amsterdam has once again set new records in terms of attendance and reinforced its status as the B2B platform of choice for professionals from the global leisure marine equipment industry. The RAI Amsterdam complex was a hive of activity for the three-day event, which has been consistently growing over the past 28 years. As everyone involved in the show will tell you, it is the amount of business conducted at the event which makes METSTRADE such an unmissable event for exhibitors and visitors every November. This year was no exception as the exhibition floor was alive with activity with the 200-plus first-timers among the 1385 exhibitors expressing their delight at the number of new leads and contacts generated. Delegates to the various associated conferences that also take place in the RAI in partnership with METSTRADE were also extremely positive at the atmosphere and the unrivalled opportunities for networking and knowledge sharing as well as business. Facts and figures do matter too, of course, as the more people in attendance – and the international scope of the visitors – ensures a truly productive outcome in terms of sales long after the halls and corridors have been cleared. Visitor attendance at METSTRADE 2015 was the highest recorded to date at 21,953, with a four percent rise in their international profile. Particular growth was noted in the number of visitors from Australia, Greece, Italy, Turkey, the United Kingdom and the United States. The immediate post-show surveys, calculated in accordance with the rules of the UFI (the Global Association of the Exhibition Industry) and audited by an independent accountant, also demonstrated the quality of these visitors. There were more decision-makers in attendance, more unique companies represented and more visitors visited the show on more days. The number of yachtbuilders and designers/architects rose by four and seven percent respectively, adding to the business potential for the suppliers. And all these visitors were welcomed by some 1,385 exhibitors, which is also a new record for the event. The 2016 edition of the METSTRADE show will be held from 15 to 17 November in the RAI Amsterdam Convention Centre. 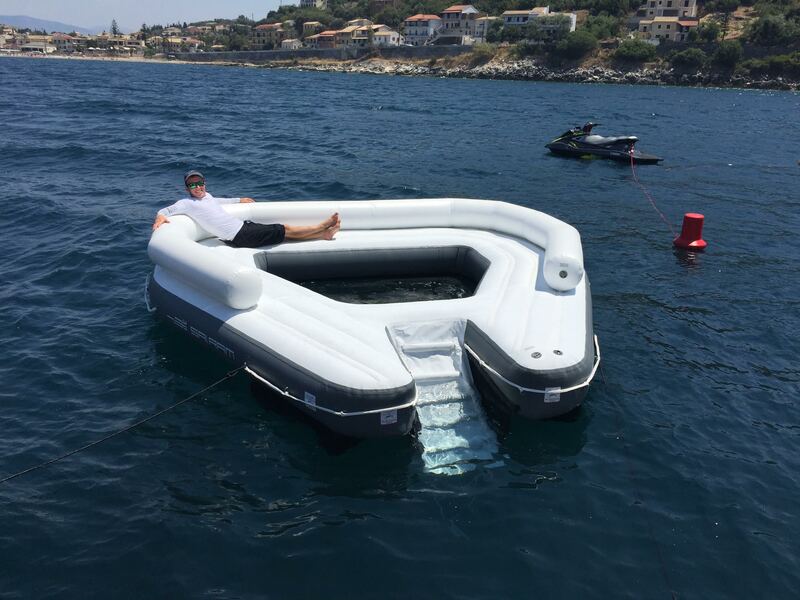 Innovation is a top priority for FunAir, and the team is constantly finding new ways to improve their designs—be that yacht slides, climbing walls or a myriad of other inflatable yacht products—to make the experience even more user friendly. FunAir collaborates with a number of high profile ship builders such as Feadship, Lurssen, Oceanco and Princess Yachts by meeting with owner representatives during the planning and new build process. This enables suitable storage facilities and safe access to be built into the design of every yacht. This in turn gives the crew a far greater experience when deploying and stowing away inflatables. Not all crew have this luxury, however, and FunAir is keen to find out how they can help busy crew with limited storage or poor access. FunAir is currently working on a number of projects, including improved protective coatings that reduce the risk of mildew as well as strategic seam placement on products so that each item folds away quickly and into a smaller space. Members of the FunAir team will survey captains and crew on board every megayacht at the show to find out what crews really think about inflatables. Crews will be asked what they like, what challenges they face, and are how FunAir can continue to improve the crew experience. Each survey will be entered into a prize drawing, and on the last day of the show, the winner will receive a GoPro delivered directly to their yacht. Find the FunAir display at the NMS on water display located at booth F608. NMS are the exclusive North American partner of FunAir and will be happy to discuss your global yacht supply needs.